Two children died in a fire that razed a bunkhouse in Zamboanga del Sur, police said. 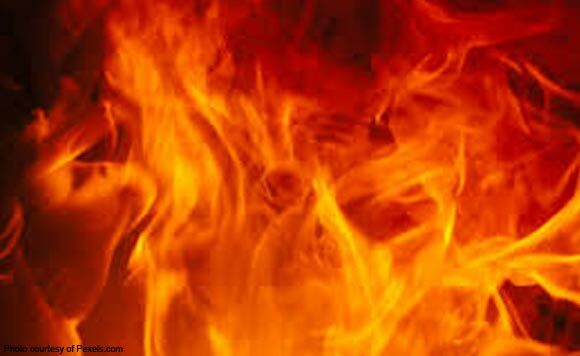 The fire occurred at Purok Talaba, Barangay Camanga in Dumalinao town at about 5:05 p.m. Friday, February 8. Based on the recovered CCTV footage, the victims – a 3-year old girl and a 6-year old boy – entered the bunkhouse owned by a businessman at around 4:40 p.m. of the same date. After 15 minutes, Jucar Virrey, father of one of the victims locked the door of the bunkhouse not knowing that there were children inside. “Flame and heavy smoke engulfed the bunkhouse,” Police Regional Office (PRO) 9 said. It was not clear how the fire started. A white Montero vehicle parked nearby also incurred damages from fire. Further investigation into the incident has been ongoing.